Kristo’s “hottest” program at the moment: The Dance Album is a handful of dances collected from Europe to America from renaissance to the 20th century. Many of these dances are not being danced anymore but the music has survived. 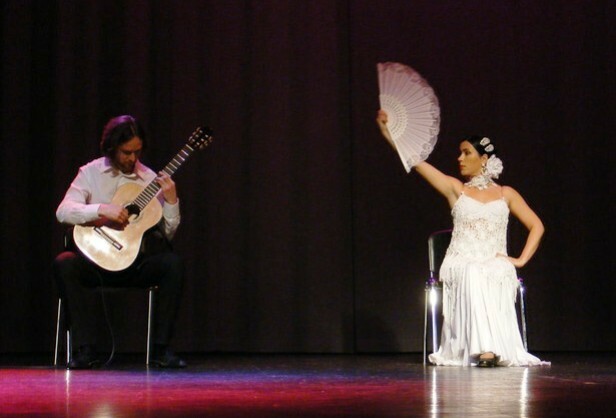 The guitar has always been a dance instrument and in this program I’ve tried to get the pieces to dance by adding some percussion as well as a real dancer! In 2007 the music was recorded by Estonian Public Broadcast and the CD “The Dance Album” was released under the label Kitarrikool Records in 2008. See the tracklist and listen to the fragments of the soundtrack of this program from the section Discography. Note: The exact selection of dances may vary in a live program depending on the venue and the audience.